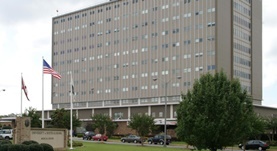 Dr. Johnson Haynes graduated in 1980 from the University of South Alabama College of Medicine and completed both an internship and also a residency at the University of Alabama Medical Center. Two fellowships followed, one at the University of South Alabama Medical Center and the other at the University of Colorado. He is specialized in pulmonary disease and critical care medicine. 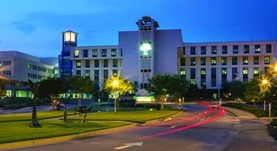 Dr. Haynes is affiliated with the University of South Alabama Medical Center and Children's and Women’s Hospital. Dr. Johnson Haynes has contributed to 2 publications. Iron overload in adults with sickle cell disease who have received intermittent red blood cell transfusions. Pack-Mabien, A.,Brown, B.,Herbert, D. E.,Haynes, J.; J Am Assoc Nurse Pract. 2015 Feb 26. Misclassification of pulmonary hypertension in adults with sickle hemoglobinopathies using Doppler echocardiography. Fitzgerald, M., Fagan, K., Herbert, D. E., Al-Ali, M., Mugal, M., Haynes, J.; South Med J. 2012 Jun.